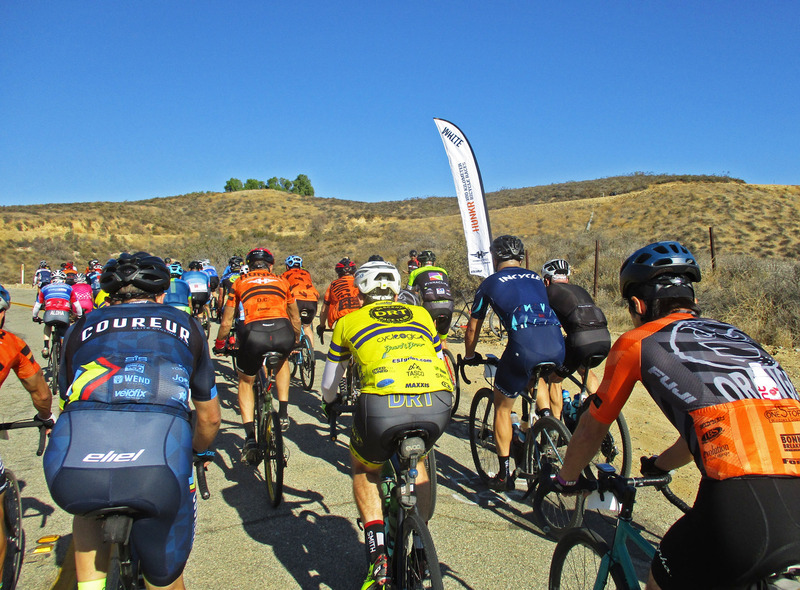 Did CiclaValley return to racing? 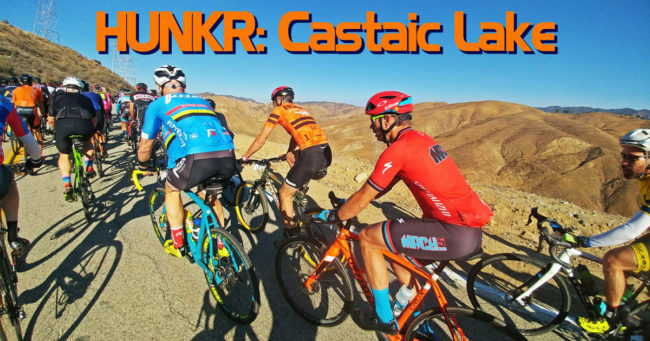 While Hunkr isn’t a USA Cycling sanctioned race, fondos have turned into unofficial ones, so I figured this would be no different. My expectations going in were low since I didn’t know what to expect! If I stuck with the lead group, then great, but if not there was enough here to enjoy the ride. Paired with the Revolution Bike Fest, temperatures were lingering around 40 when I arrived, but even knowing it would hit near 80 at some point, I went with the bold choice of leaving my vest and arm warmers in the car which proved to be a rewarding choice after the first ten minutes. It got warm real fast. 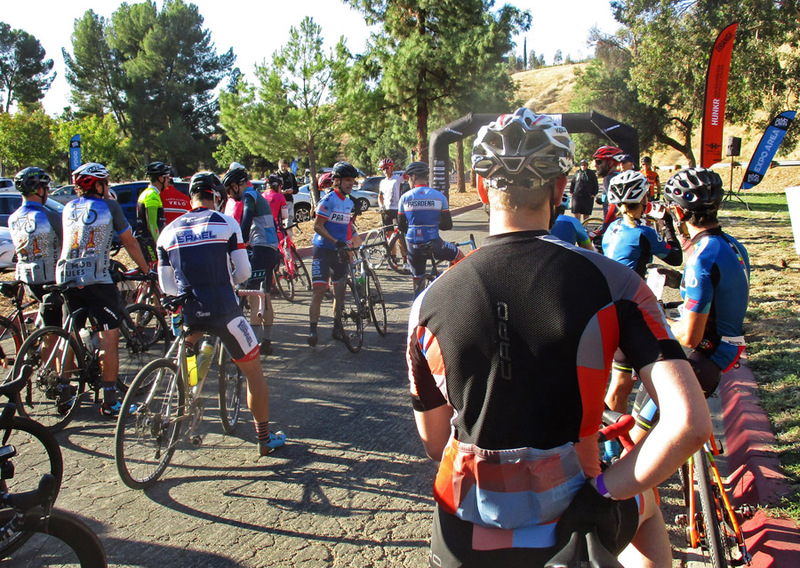 About 100 riders lined up and before we knew it, the group was escorted for a controlled start as we made our way up the Old Ridge Route. There was a lot of casual conversation shared in the peloton, but as we neared the official start of the race, the chit-chat got real quiet. ….and the race is on! At the front were some real heavyweights and while they weren’t pounding it, slowly the flock thinned over each advancing hill. While I was staying with the lead group, I always kept to the back because the reality is my descending skills on gravelly surfaces are still unknown to all and I’d rather make it home in one piece thank you very much. Things get spicy when the peloton strings out like this. At the same time, I was feeling proud of choosing 32s because even though my previous trips on the Old Ridge Route were at touring speeds, I knew there was room to push it. While you normally enjoy the scenery and the relics along the way, the pace was picking up enough that there wasn’t a lot to remember from the viewing spectrum. In case there’s a dustup, I’ll hang back here thank you very much. On of the great things about Hunkr was not having to pin numbers on your back like USA Cycling, instead using a chipped placard tied to the front. Doesn’t sound like a big thing, but not having to worry about those “safety” pins from getting loose on a descent is a big thing! Finally, I had the moment I was expecting when my water bottle popped out of its cage and was precariously trapped between my frame and leg. I tried to skillfully grab it, but just like in the movies I jumped out right as I got my hands on it. Well…I knew I was going to need that bottle so off the lead group went. I lost about 30 seconds and I kept them in my sights, but about five minutes later my chain got jammed and that’s when I relented from making it a race to doing a ride. A few people passed me as I leisurely fixed my bike, but I just biked at tempo passing some riders and vice versa enjoying the uniqueness of this historic road. Back on the bike after mishap #2! For the most part, there were only dollops of sand that acted as inconveniences, but even if you were to riding 28s, you would have been fine. I hit the first pit stop at Sandberg which was amply stocked and the volunteers were even nice enough to fill my bottles for me. 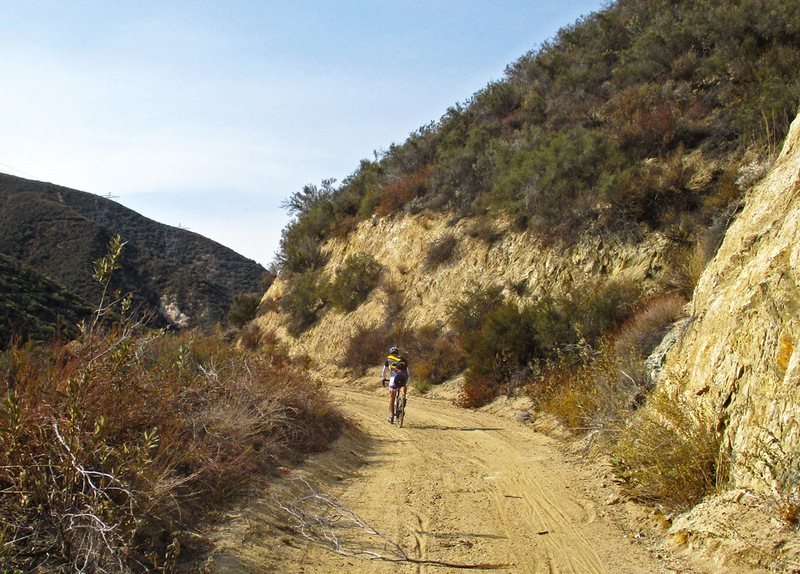 The turn to Pine Canyon was right after the pitstop which starts out as a really fun descent. 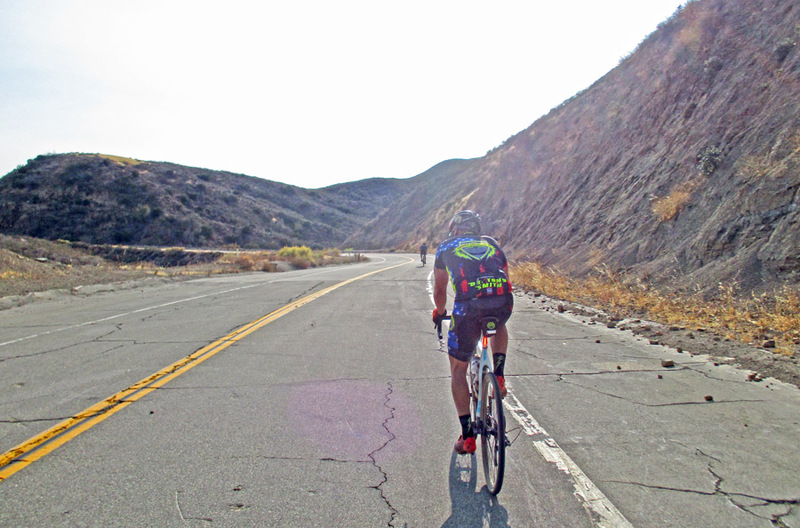 It’s easy to get caught up in the beauty of the rolling hills and the Mojave Desert to the north, then you realize the climbing isn’t over. The beauty of Pine Canyon’s solitude. Your easterly progress is punctuated with speedy descents followed by just-long-enough-to-be-annoying hills more than you’d like. Near the last climb, I notice a pair of riders had smartly teamed up and I was eager to jump on that train as this portion of the ride tends to get a bit windy. 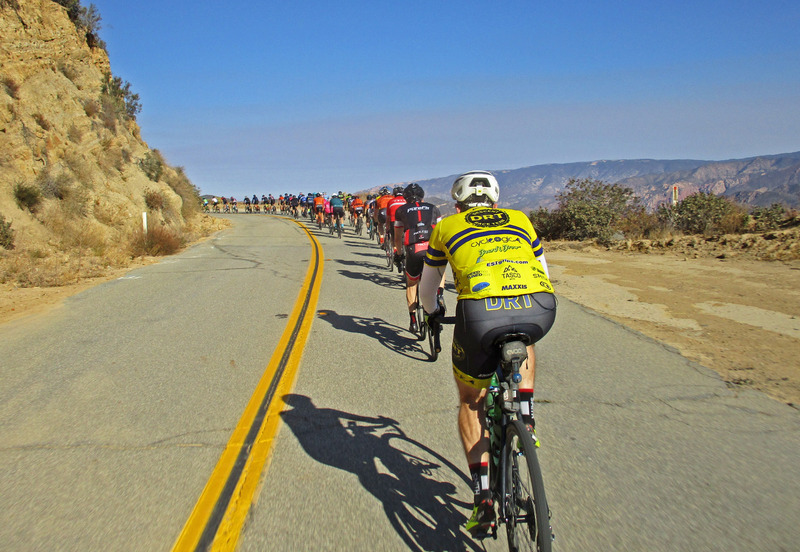 Maybe pulling down my airslide on my Lazer helmet made a difference, but they kept a steady distance behind which I thought would change once I made the turn into the headwinds on Lake Hughes Road. From here, it is about ten more miles of downhill until the turnoff, but it’s extremely frustrating when you’re Garmin reads “-5%” and you’re only going 18mph. This is descending at 6%? It’s a pretty spot between the camps and creeks as you meander, but something about the air and direction really dries you out. Finally, with about a mile left on the road, the pair caught me closing at a pretty good clip. They missed the right turn off of Pine Canyon which I didn’t think was marked well if at all, but I still wasn’t surprised they made up that time. 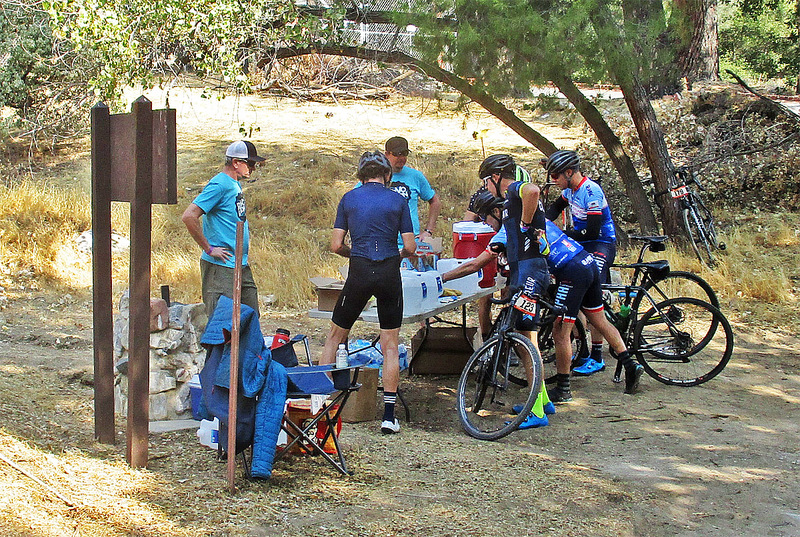 The pit stop was amply loaded and the start of true dirt awaited, but as I composed myself a group of seven riders pulled in together from sharing the benefits of group aerodynamics. 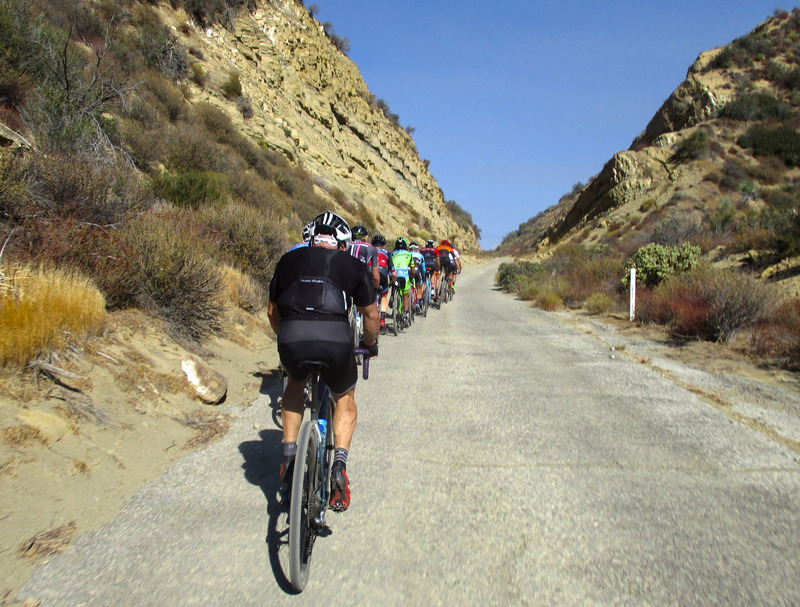 Roughly eight miles of fire road lay ahead including a 4K climb that looked friendly at first. The surface initially felt firm and the shade from the foliage was welcome, but as we elevated above the tree line, the road got sandier and sandier. This dirt looks inviting at first…. While my 32s has some tread on them, it still wasn’t enough to power through some of the rough patches. Even worse, I could feel my back tire letting out air which I took advantage of the low air pressure for a few minutes until it became unrideable. One thing about thru-axels is that I hate changing flats and with about another 1K left to climb, I was in no rush to get back to this torture. After sharing my disgust through a variety of sneering inspired faces as a number of riders passed, I finally hopped on hoping the climb wouldn’t take me to the top of the next ridge. Fortunately, there was a volunteer at the upcoming junction that directed me towards the downhill route, but when I asked about conditions, his guess was as good as mine. Normally, I’d be discussing the beauty of this lonely path cutting through these untouched landscapes, but I was just holding on trying to get through it. Occasionally, I’d see others either spaced in front or behind me facing the same struggles of handling the sand. I felt like a tracker following lines in the dirt, then preparing to dismount when I saw a collection of footprints ahead. A silver lining to it all was a paved section guiding through the most scenic portion alongside the creek, but these conditions were short lived as the last mile of dirt was laying the pain on the guy’s back in front of me. At the top of the ridge, a familiar sight of a tank we previously passed was very welcomed, even though it was another 1,200 foot climb to reach it. Coming off the dirt, I stopped at the upcoming pit stop before starting this double digit ascent that was thankfully paved. 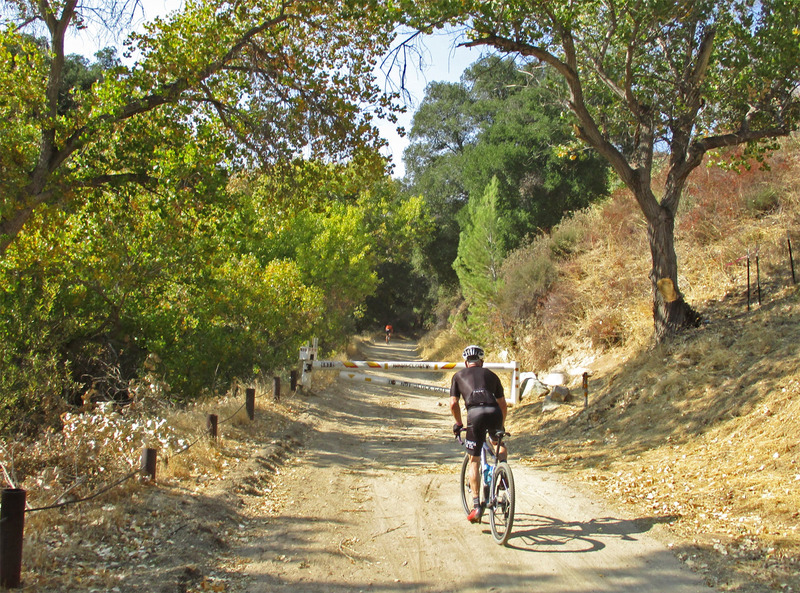 About halfway up, a guy on a road bike zipped passed me answering the question was it worth it to ride a gravel bike. The finish line was situated at the top about 1k after the turn back onto Old Ridge Route which I made sure to cross in unceremonious fashion. 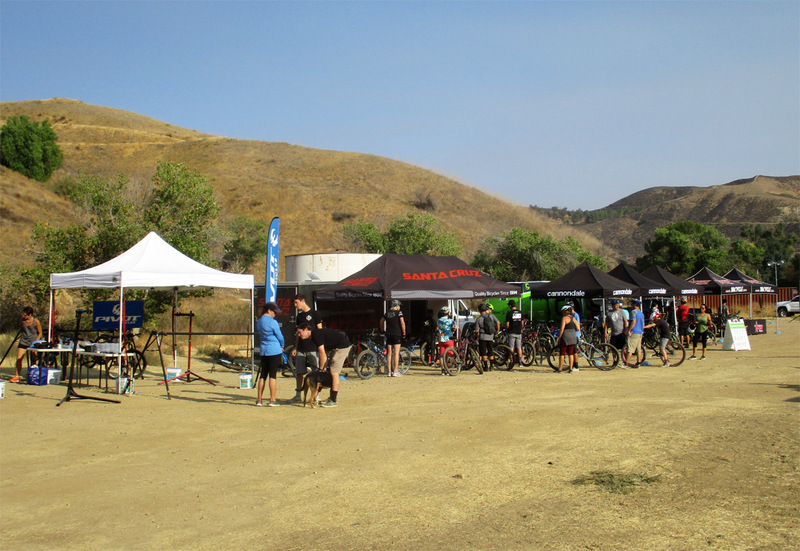 It was mostly downhill all the way back to Castaic Lake where I changed clothes before checking out the Revolution Bike Fest. Revolution Bike Fest Popping Off! There was a good amount of families and cyclists rolling around and plenty of bike demos that occupy many hours more, but I realized I was done for the day and headed back. All in all, I’m glad I took part and that I scratched another dirt road off my list, but the wind and sand sucked some of the enthusiasm out. If Hunkr wants to return for some more epic rides like this, I’m sure I’ll be a participant again.